Before I unveil the last six categories, I want to show you a new twist on the game! Having a difficult time finding a book to fill a category? 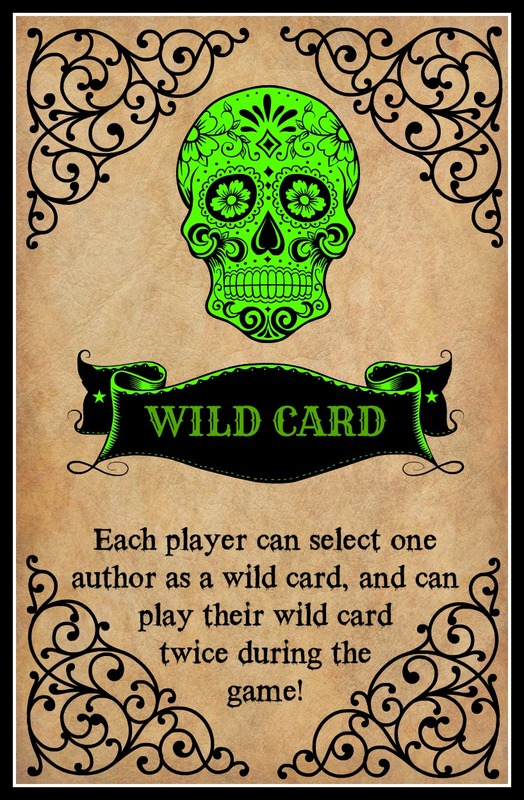 Each player can identify one author as your wild card author - as long as the author writes horror, mystery, suspense or supernatural books. Any book by that author can be used as a wild card to fill any space. The wild card can be played twice during the game. Wild card authors don't need to be identified before the game begins, but once you play your first wild card, that's the author who must be used to play the second wild card as well!